Throughout 2008 and under the regime of the industry’s old governing body – the National Greyhound Racing Club – six greyhounds produced samples of urine containing bezoylecgonine – a metabolite of cocaine. Cocaine is an illegal Class A drug and if found in possession and prosecuted, can lead to a custodial sentence of up to 7 years imprisonment or an unlimited fine or both. As a result of Steward’s Inquiries/Disciplinary Hearings the greyhound’s respective trainers were found in breach of rules involving the misuse of drugs which could affect the greyhound’s performance. None of the trainers had their licenses revoked – allowing them to continue to race, train and ‘care’ for greyhounds. To our knowledge, none of the trainers were reported to the police authorities to investigate possible offences under the Misuse of Drugs Act. The contraindications of administering cocaine to dogs are extensive and include central nervous system excitement – hyperactivity, erratic behaviour and seizures. Other signs may include vomiting, hypersalivation, hyperthermia, tachyarrhythmias, cardiac arrest, respiratory arrest, and death. After the initial signs have subsided, pulmonary edema or pneumonia may develop. The racing industry do not consider subjecting greyhounds to cocaine as either cruel or could cause the dogs to suffer, as none of the trainers were found in breach of the one and only Racing Rule specific to welfare – 174(xi). On February 19th 2008, Mr T Clements’ greyhound – Snake Barn, a two year old black male – produced a positive sample. The stewards accepted Mr Clements’ explanation of how the metabolite of cocaine was found in Snake Barn’s urine and as a consequence, no fines or penalties were imposed. In the same month Barnfield Slippy, trained by Mr Sam Poots and his assistant trainer Graham Coles, returned a positive sample at Crayford stadium. Bought before the NGRC on June 10th , the stewards fined Poots £500 and Coles £300 and although both were severely reprimanded, they were allowed to retain their licenses and continue to ‘care’ for the two year old brindle dog, together with many other greyhounds. The following month on March 8th, Crooks Crash a black male, less than two years old and trained by Mr Stephen Caile produced a positive sample at Hull stadium. The lenient penalty imposed was a caution over the security of his greyhounds and a small fine of £350. On August 14th professional trainer Andrew Peacock was found in breach of rules when a urine sample taken from his greyhound – Aye Jay – at Wimbledon stadium, was found to contain the metabolite bezoylecgonine. 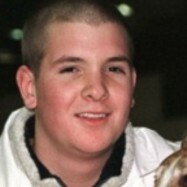 Again, the NGRC saw fit to simply caution Peacock as to the security of greyhounds and impose a fine of £350. The caution and minimal fine, proved by no means a deterrent and only TWO DAYS later on August 16th, another of Peacock’s greyhounds -Yak Yak Joe – produced a positive sample containing bezoylecgonine, again at Wimbledon stadium. An inquiry held on November 13th was adjourned at the request of Andrew Peacock and his assistant trainer Alan Peacock. The adjourned inquiry was heard on March 17th 2009 under the regime of the GBGB. The newly installed Greyhound Regulatory Board fined Andrew Peacock £1,000 and severely reprimanded him for being in charge of Yak Yak Joe. Having retained his license, he continued to train, race and ‘care’ for greyhounds. Alan Peacock – Andrew’s uncle and assistant trainer – was fined £1,000 but made a disqualified person for administering the drug. Also in March of this year, greyhound trainer Mr Craig Armitage and kennelhand Ms Katie Armitage were found in breach of rules when urine taken from Kylemore Turk at Kinsley stadium returned positive for benzoylecgonine. As with previous inquiries, the GRB deemed the offence as minor and Mr Armitage was given a severe reprimand and a £500 fine – Ms Armitage was given a reprimand and a £250 fine. Declan Donnelly – the newly installed Director of the Greyhound Regulatory Board, having served 32 years in the Metropolitan Police, will be well aware cocaine is an illegal substance and possession of the Class A drug is punishable with up to a seven year prison sentence. Unfortunately, the Greyhound Regulatory Board’s decision to ban neither Craig or Katie Armitage and to retain Andrew Peacock as a trainer following his second offence involving an illegal drug has only served to excuse and further promote a level of acceptance of criminal activity within greyhound racing.